SOCHI, Russia, February 11, 2013 (ENS) – “Large-scale destruction of the environment and substantial environmental damage” is being wrought by preparation for the Sochi 2014 Winter Olympics, a Russian non-profit group warned today in an Open Statement to the International Olympic Committee, IOC. “There is only a year left until the Sochi Olympics and this situation is unlikely to change in the remaining year,” the group said. The XXII Olympic Winter Games will be held from February 7 to 23, 2014 in the resort city of Sochi on the shores of the Black Sea and in the mountains above. Russian and IOC officials are painting a rosy picture of the upcoming games. At a ceremony Thursday at the Bolshoi Ice Palace in Sochi attended by Russian President Vladimir Putin, IOC President Jacques Rogge officially invited the world’s National Olympic Committees and their athletes to take part in the games. But things in Sochi are far from perfect according to Environmental Watch on North Caucasus, which works to protect “wild nature” and advocate environmental human rights in the Russian Caucasus, the Black and Caspian seas and mountain ecosystems. The Mzymta River valley has been deforested and toxic waste dumped into the river. Territories of the Western Caucasus UNESCO World Heritage site have been removed from World Heritage protection, natural heritage sites are being destroyed, and crushed-stone quarries are being mined in the reserve areas of the Sochi National Park. Disappearance of numerous plant and animal species in Sochi is reaching critical levels and is leading to local extinction of species and impoverishment of biodiversity, the group warns. Major power plants are being constructed that “will inevitably damage the unique Sochi environment,” the group points out, even though the Sochi Bid Book included no provisions for some of the power plants being built, such as Kudepstinskaya thermal power station. In addition, legal obligations stipulated in the Bid Book have been breached by Russia, the Russian Olympic Committee and the City of Sochi. The group says waste from the Olympic zone is being transferred beyond the area of Sochi, to the Belorechensky landfill in violation of zero waste guarantees stated in the Bid Book. 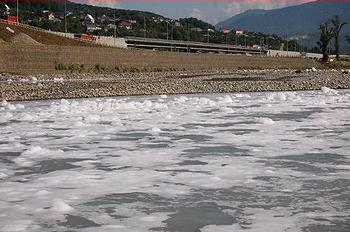 The environmental destruction at Sochi is happening while 2013 is being celebrated as the Year of the Environment in Russia, with a series of events due to be held across the country. This is not the first time Environmental Watch on North Caucasus has attempted to draw the world’s attention to environmental destruction at the site of the Sochi 2014 Winter Olympics. Objections to these violations and abuses have been brutally suppressed, says the group, some of whose members and spokespeople have been victimized. “From the very moment of selection of Sochi as the host city for 2014 Winter Olympics, the government of the Russian Federation has deliberately pursued the policy to degrade human dignity of its citizens. Consequently, governmental policy in Russia contradicts on of the main goals of Olympism to foster respect for human dignity,” the group told the IOC in today’s statement. The group is asking the general public not to buy souvenirs with Sochi 2014 Winter Olympics symbols and to abstain from participating in Sochi Olympic lotteries and in other commercial and non-commercial Olympic events. Pointing out that the IOC has committed itself to sustainable development by establishing its own Agenda 21 and maintaining close cooperation with the UN Environmental Programme, UNEP, by conducting the World Conference on Sport and Environment, and by integrating environmental requirements into selection of host cities, the group is appealing to the IOC to remember that environment is the third pillar of the Olympic Movement alongside sport and culture. Last July, UNEP and its partners proposed to Russia nearly 90 projects designed to minimize the impact of infrastructure developments around the Sochi National Park area, where the games will take place. In December, UNEP Executive Director Achim Steiner offered further engagement in greening efforts for Sochi 2014 at a meeting with Minister of Natural Resources and Environment Sergey Donskoy and First Deputy Minister of Foreign Affairs A.I. Denisov. The discussions took place on the margins at a Conference of the Parties to the Tehran Convention on the protection of the marine environment of the Caspian Sea. Steiner said the Russian officials expressed appreciation for the ongoing engagement of UNEP experts in analyzing environmental impacts of the upcoming Winter Olympic Games. The first part of this work will be presented at the Tenth World Conference on Sport and Environment that will be held in Sochi from October 30 to November 2, 2013. 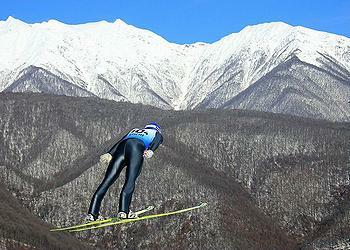 In 2015, the group will evaluate the final impact of the Sochi Winter Olympics.